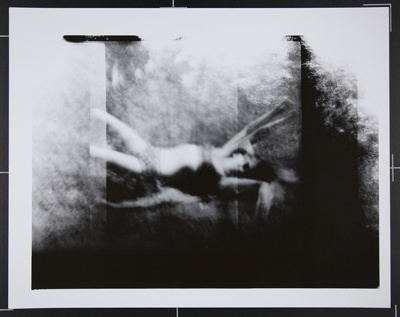 This is an image from the series that Fichter did of Alice Wells using a Diana camera. This plastic camera is often referred to as a toy camera, along with the Holga. Due to a deformity in the film reel, there was a light leak. Fichter liked the effect that this caused so much that he continued to reuse the bent original reel to replicate this.